Laura Timoney knew that New York City’s first charter school designed for students with dyslexia would become a reality when she and its other founders were able to envision a full day in the life of a student. 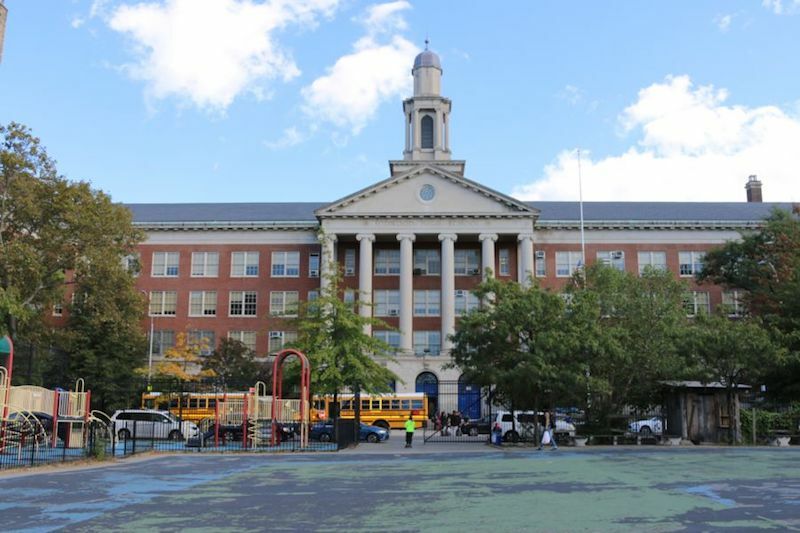 If all goes according to plan, Bridge Preparatory Charter School will begin serving its real students on Staten Island in fall 2019. The elementary school was approved by the Board of Regents in June, and it’s set to be the first charter school in the state — and among only a few public schools nationwide — devoted to educating children with dyslexia and other language-based learning disabilities. The goal is to provide another option for families who have long fought for more choices closer to home. Staten Island is the borough with the highest share of students with disabilities, and while district schools have been steadily addingresources to help students with literacy issues, many parents of children with dyslexia send them to private schools in Brooklyn or New Jersey. To succeed, though, Bridge Prep will have to navigate a few considerable challenges. A few, like finding space, are familiar to charter schools in New York City. Others, like convincing parents that their educational model will work best for their children — who may have sizable academic and emotional needs thanks to their frustrations with reading — may be more specific to Bridge Prep. While designing the school, Castanza traveled to Jacksonville, Florida, to visit a magnet school that almost exclusively serves students with language-based learning disabilities and to Pittsburgh to visit the Provident Charter School for Children with Dyslexia. 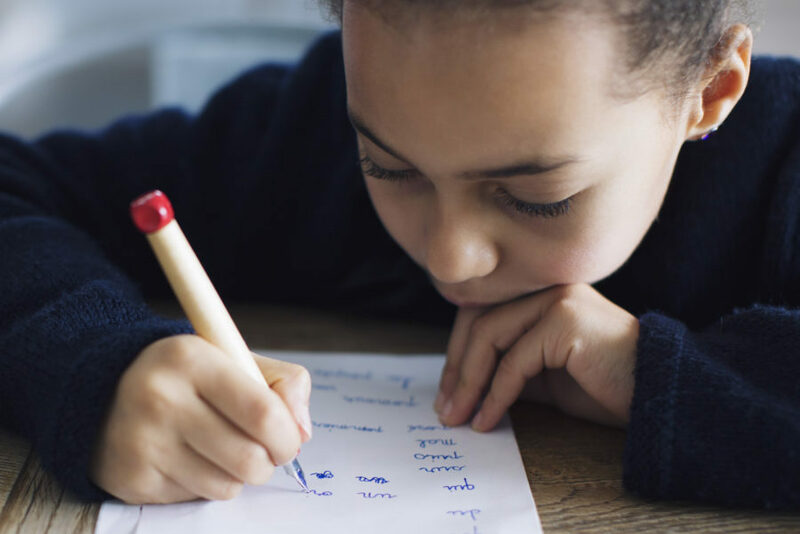 Bridge Prep plans to use the Orton-Gillingham instructional approach, a popular method of teaching students who have trouble with reading, spelling, and writing. Each class will be 12 to 13 students so instructors can cater to children’s individual needs, Castanza said. Timothy Castanza, Rose Kerr and Laura Timoney celebrate the approval of Bridge Prep. The school also plans to use the “triad method,” designed by Rose Kerr, a former Staten Island principal. Instead of students leaving their classrooms to receive extra help, additional teaching assistants and literacy coaches will rotate through the classrooms (called triads) to help students, joining the assigned general education or special education teacher and any paraprofessionals mandated for students. The overarching goal, they say, is to help students at the start of their academic careers, putting them on the right track for later success. Opportunity Charter School, another charter school designed to serve mostly students with disabilities in Harlem, came under fire last year for not being able to meet its academic benchmarks. But Opportunity has operated as a middle school and high school, and its students enter having to catch up. Maggie Moroff, the special education policy coordinator at Advocates for Children of New York, said Bridge Prep’s decision to open an elementary school means it might avoid some of those issues. “It’s never too late to help a struggling reader learn to read, but it does get more difficult the longer the student is left without appropriate evidence-based interventions,” said Moroff. It’s hard to know exactly how many students in Staten Island or New York City have dyslexia. The city’s annual special education report in 2016-17 said about 77,000 students have a learning disability. Of all students with disabilities enrolled in the city’s district schools, nearly 130,000 were receiving all of their recommended services, while almost 50,000 were denied some of the services that they were legally entitled to. In 2016, the city announced it would increasing the number of reading coaches in each school through a new Universal Literacy Program. That may be helping, Moroff said, but some students still find themselves without needed support. “If kids didn’t have private attorneys, then what they ended up doing was just struggling in school and not getting the support they needed, falling farther and farther behind and getting a hodgepodge of services,” said Moroff. Ayelet Schwartz, a Staten Island mother whose daughter has dyslexia, saw that firsthand. Despite having a diagnosis of her daughter’s condition, Schwartz said the teachers at her local district school didn’t take her seriously. So Schwartz sued the Department of Education to reimburse her for the cost of sending her daughter to a private school for students with language-based learning difficulties, two hours away. For typical students, planning for life after high school is daunting — a blur of guidance counselors, college applications, or maybe a search for jobs or vocational programs. But for families with special-needs students, the process is even more complex. To help ease the burden, schools are legally required to help craft plans for students with disabilities on how they will transition into adulthood. The plans can cover anything from the type of support services students might need to be successful in college to skills they should be taught in order to live independently. Now, the city has come up with a new way to improve this transition: The education department is gradually opening centers in every borough staffed with experts who can directly help students with disabilities plan for life after high school, while also training school personnel on how to guide families through the process. To date, the city has launched two of the “Transition and College Access Centers”: One embedded at DeWitt Clinton High School in the Bronx; the other at Boys and Girls High School in Brooklyn. Staten Island’s center is expected to open its doors this spring, while Queens and Manhattan centers scheduled to open by the end of next school year. One focus will be on helping students with disabilities determine the best way to graduate high school. Among the available options is a special diploma that emphasizes job experience and technical education, which may be a better fit for students expecting to enter the workforce rather than attend college. The centers will also serve as resources for schools. While each school is responsible for designating a “transition coordinator,” those individuals may not know all the programs available to students with disabilities or how to connect them with job opportunities, officials said. Advocates said they are cautiously optimistic about the new centers, with the caveat that it will be important to track whether students ultimately have more meaningful experiences after they leave the system. When Michelle Noris helped her son apply to public high schools, she knew the city’s directory would not be much use. Since her son, Abraham, uses a wheelchair and the city’s official list of over 400 high schools contains little information about physical infrastructure, Noris knew she’d have to make phone calls and set up visits to find out whether cafeterias, auditoriums, and even front entrances could accommodate a wheelchair. Now, after lobbying from Noris and other advocates, the city is starting to release more detailed information about how accommodating its high schools are for students with disabilities — an effort to reduce the burden on those students and their families to figure it out for themselves. New online profiles indicate whether school bathrooms, gymnasiums, classrooms, libraries, hallways and other spaces are completely accessible on each floor, and if not, what barriers might be present. They are meant to correct a major challenge for families seeking accessibility information about New York City’s high schools: 62 percent are deemed “partially accessible,” an ambiguous term that is supposed to mean students with disabilities can access “relevant programs,” but in practice gives little sense of the scope of accessibility issues. Just 13 percent of high school buildings are fully accessible, according to 2016 data. A partially accessible school might have a ramp, but it’s connected to a service entrance designed to transport garbage rather than wheelchairs. A school could have an accessible bathroom, but it’s on the second floor. An auditorium might accommodate a wheelchair, but provide no access to the stage. In recent months, the education department has posted on its website new “Building Accessibility Profiles” that offer such granular, crucial details — based on a 58-question survey conducted by department employees. 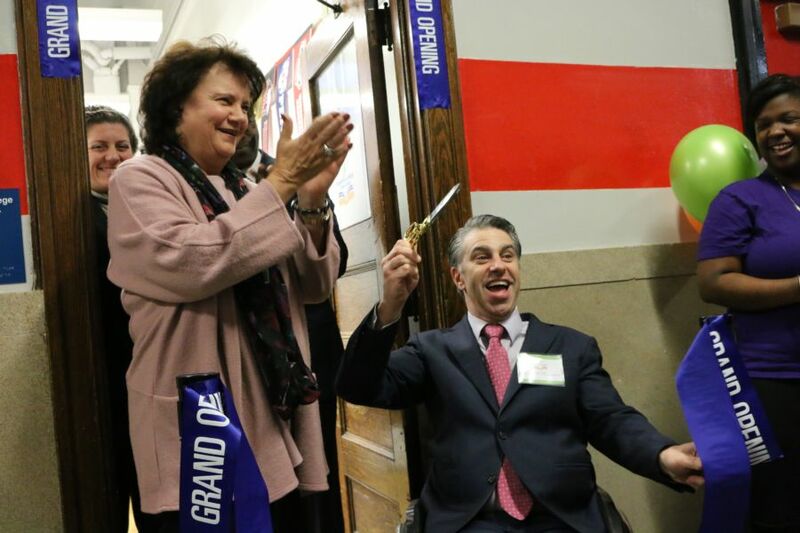 Experts largely praised the city for beginning to make the high school choice process less onerous for students with disabilities by offering them more information about physical accessibility. But some also pointed out that the information is difficult to find. The city’s official high school directory only says whether schools are “accessible” or “not accessible,” a potentially misleading indicator given that most schools fall somewhere in between. And the city’s “School Finder” site, essentially a digital version of the directory, does not link to the new accessibility data, though a spokesman said that information will be included in future updates. The easiest way to get to the information is on the city’s Office of Space Planning website, which lists each school’s accessibility profile. Still, there are significant upsides to the new data — and not just for parents. More detailed information about building infrastructure could help the city better-allocate capital funding to schools that might only need modest improvements to become significantly more accessible, Moroff said. The city’s current five-year capital plan includes $100 million for such improvements. “We work diligently with families and school communities to ensure every student has a seat at a school that meets their accessibility needs,” said education department spokesman Michael Aciman. While Noris, the parent and disability advocate, said she would have loved the additional information when she was searching for a high school for her son, she’s glad her advocacy paid off. She used to carry around mock surveys to show city officials what kinds of information would have helped her, and even used the surveys to rate a few schools, partly to show that useful information about buildings could be extracted in under an hour. So when Noris saw the data appear on the city’s website, she couldn’t help but feel like she played a role. New York State wants to allow some students with disabilities to take below-grade-level exams — a plan that special-education advocates opposed and New York City officials questioned, arguing that would lower the standards for those students. The state asked the federal education department in September for permission to give students with significant cognitive disabilities tests matched to their instructional level, rather than their age. State education department officials say this will provide schools with more useful information about what students have actually learned, while other supporters say it will spare those students from taking tests they have no chance of passing. But New York City’s education department — which oversees half the state’s students — has raised concerns about the state’s request, while a coalition of 15 national special-education advocacy groups has urged U.S. Education Secretary Betsy DeVos to deny it. They argue that testing students below grade level would violate federal law, while city officials say that doing so would lower expectations of students with serious disabilities. Maggie Moroff, a special-education policy expert at Advocates for Children, a New York City-based group that opposes the waiver, said she recognizes how frustrating it can be for students with disabilities to sit for exams they find extremely difficult and are unlikely to pass. New York state submitted its testing waiver as part of a plan required under the new federal Every Student Succeeds Act. The request said that students may only be given a test written for younger students if they scored at the lowest level on the state exam or took an alternative test for students with severe disabilities in a previous year, are not qualified to take that alternative test in the current year, and have significant cognitive disabilities that affect their memory, language comprehension, or problem solving. State officials said they expect only a small number of students would meet those criteria. Students would not be permitted to test more than two grade levels below their age, and students in grades 6-8 would have to take a test each year that is one grade above the one they took the previous year. In their letter to DeVos, which was first reported by Education Week, the national Consortium for Citizens with Disabilities laid out several objections to New York’s waiver request. In addition to saying it violated the legal requirement that most students be tested at grade level, they said it would discriminate against students with disabilities and hide the achievement level of those students. Meanwhile, the New York City education department also penned a letter to the state citing concerns about the proposal. On a practical level, they said the student eligibility requirements were to left “many questions that need to be answered.” Disability advocates share this concern, saying that vague rules could allow districts to give below-grade-level tests to many students who don’t require them — reversing a yearslong effort by advocates to have students with disabilities take the same tests as their general-education peers. The city also argued that the waiver risked lowering expectations of students with disabilities. “It has been our experience that once we make a decision that a student is not able to take grade-level assessments, the likelihood of them being able to meet standards over time is significantly decreased,” said the city letter, which was signed by Sharon Rencher, senior advisor to the schools chancellor. The state’s proposal has garnered some support, including from statewide associations of local school boards and superintendents. In all, 14 of 20 public comments submitted to the state were in “general support” of the waiver, according to the state education department. Bob Lowry, deputy director of the New York State Council of School Superintendents, said he understands the importance of holding students with disabilities to high standards, but ultimately felt that forcing some students to take grade-level tests can do more harm than good. There is no guarantee that the federal education department will grant the waiver. The department rejected a similar request by New York in 2015. However, some observers think the state may stand a better chance under DeVos, who has emphasized the importance of letting states and districts make their own policy decisions. A New York education department spokeswoman said districts would not be able to use the waiver to boost their accountability ratings because any student who takes a test below their grade level would automatically fall into the lowest score category. A spokeswoman for the city education department said it does not oppose the waiver request, but believes it presents challenges and questions that the city raised in a letter to the state. “We remain committed to ensuring that all students are given every opportunity to access grade-level curriculum and assessments in order to ultimately earn their high school diploma and access all of the post-secondary options that this affords,” said the spokeswoman, Toya Holness. The Walton Family Foundation, the philanthropy governed by the family behind Walmart, pledged Tuesday to invest $2.2 million over the next two years in new charter schools in New York City that aim to be socioeconomically diverse. 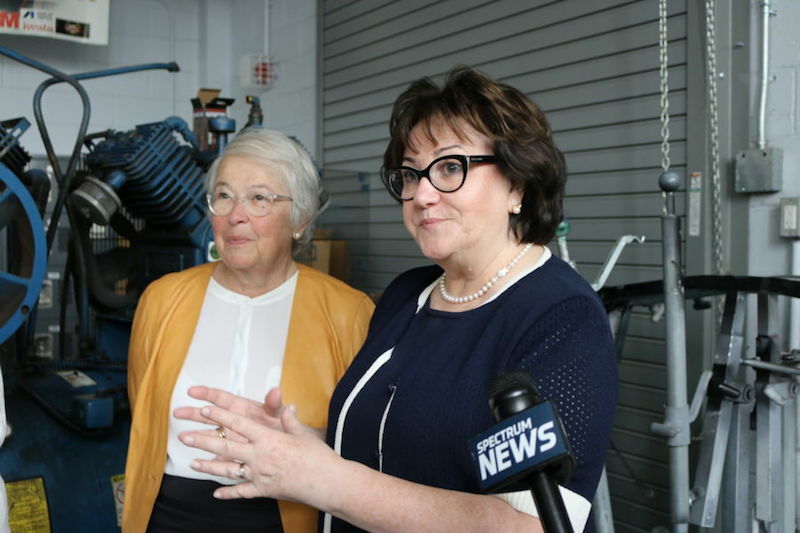 Officials from the foundation expect the initiative to support the start of about seven mixed-income charter schools, which will be able to use the money to pay for anything from building space to teachers to technology. The effort reflects a growing interest in New York and beyond in establishing charter schools that enroll students from a mix of backgrounds, which research suggests can benefit students and is considered one remedy to school segregation. “We are excited to help educators and leaders on the front lines of solving one of today’s most pressing education challenges,” Marc Sternberg, the foundation’s K-12 education director and a former New York City education department official, said in a statement. Some studies have found that black and Hispanic students in charter schools are more likely to attend predominantly nonwhite schools than their peers in traditional schools, partly because charter schools tend to be located in urban areas and are often established specifically to serve low-income students of color. In New York City, one report found that 90 percent of charter schools in 2010 were “intensely segregated,” meaning fewer than 10 percent of their students were white. However, more recently, a small but rising number of charter schools has started to take steps to recruit and enroll a more diverse student body. Often, they do this by drawing in applicants from larger geographic areas than traditional schools can and by adjusting their admissions lotteries to reserve seats for particular groups, such as low-income students or residents of nearby housing projects. Founded in 2014, the national Diverse Charter Schools Coalition now includes more than 100 schools in more than a dozen states. Nine New York City charter groups arepart of the coalition, ranging from individual schools like Community Roots Charter School in Brooklyn to larger networks, including six Success Academy schools. “There’s been a real shift in the charter school movement to think about how they address the issue of segregation,” said Halley Potter, a senior fellow at the Century Foundation, a think tank that promotes socioeconomic diversity. The Century Foundation and researchers at Teachers College at Columbia University and Temple University will receive additional funding from Walton to study diverse charter schools, with the universities’ researchers conducting what Walton says is the first peer-reviewed study of those schools’ impact on student learning.